A qualified business and executive coach, sales mentor and trainer with a wealth of commercial experience. Tina Dickens is a qualified and accredited business coach, trainer and mentor. Through her business – 2J Consulting Ltd – she helps clients identify and make improvements that lead to business success. 2J Consulting’s services include sales and consultancy skills workshops, one-to-one coaching packages, sales mentoring and other development programmes tailored to the client’s needs. Coaching and mentoring clients benefit from Tina’s impressive combination of commercial expertise, coaching skill and human understanding. They are often at different stages – some could be starting out on a new venture, others developing their career, while the rest may have more mature needs, including those operating at a high level. Tina is well equipped to relate to the problems her customers face, helping them find ways to adapt to new situations, learn new business behaviours, or avoid getting caught up in the day-to-day minutiae that can undermine the attainment of business goals. Tina’s passion for developing people is fulfilled in the training environment too. She designs and delivers a range of business skills workshops on a variety of topics including coaching and mentoring, sales training, account management, relationship management, consulting and new business acquisition and growth. Tina also delivers accredited training, working as a consultant for partner organisations. She is the Programme Director for a cohort of students on the Consalia / Middlesex University MSc Professional Practice in Sales Leadership Transformation. In this role she facilitates workshops, coaches the students through the project writing process and is the main assessor on the programme. Tina is currently managing the masters’ programme for the senior sales leaders of a leading multinational IT consultancy firm. 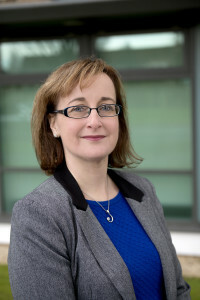 Tina is also the Lead Visiting Lecturer on North Hertfordshire College’s Institute of Leadership and Management Coaching and Mentoring courses, delivering Level 5 and Level 7 open and in house courses. Prior to specialising in the field of learning and business development, Tina worked in business for 20 years, where she held a range of challenging roles, mainly in sales and sales management, culminating in a board position. Through working in a variety of business sectors, from electronic publishing to building materials, Tina has gained vast commercial experience. The majority of 2J’s training and coaching programmes are run by Tina. In addition, she has built a network of experienced and tested learning and development professionals who work with her to complement her skill set and support 2J’s activities as required. BA Hons (2:i) in Combined Studies: Computing & History. Institute of Leadership and Management (ILM) Level 5 & 7 Certificates in Management and Executive Coaching and Leadership Mentoring. City & Guilds Level 4 Preparing to Teach in the Lifelong Learning Sector; for the teaching and training of adults. Accredited member of the European Mentoring and Coaching Council (EMCC). Working with Tina has increased my confidence in my own abilities as a business owner. Not only is she astute and logical, but she has great people skills too. Her experience of working at a senior level for other companies before setting up her own business shines through. When you are coached by Tina you know that you are in capable hands.